To simply put it, moms are awesome. Being a mom is the epitome of strength and wisdom. They raise us, care for us, and are always there for us when we need them the most. Mother’s day is May 14th and now more than ever we need to honor the women who brought us into this world and raised us into human beings. This is a day not to be missed and our advice is to go thoughtful or go home this year with custom Mother’s Day gifts. Finding the perfect gift for Mother’s Day can be tricky. For the mom who has seen it all or maybe even has it all creates a gift giving nightmare. How can you show your appreciation for her with a gift she’ll actually appreciate? Answer – Custom gifts. Every mom loves when their little ones make or create unique gifts for them. 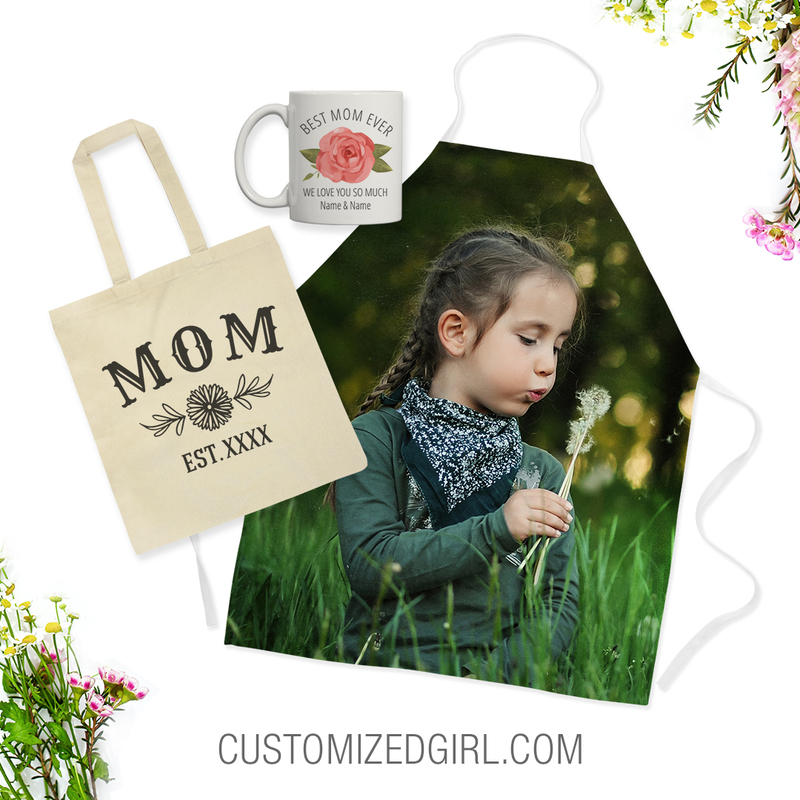 Customized Girl wants to expand on this concept with all over, edge-to-edge printing on products your mom can use in her every day life. Aprons, pillows, and phone cases are just a few items that we offer with this new and amazing printing technique. All you have to do is choose an item from our all over printing options. From there click on the big, pink “upload image” tab and upload your image. Any photo taken with a smartphone will be big enough. You can continue to add your own text or even more art or swap the same design onto multiple products with the “swap out item” tab in the design. Once you’ve completed your design, choose a size, and viola! You just designed the perfect Mother’s Day gift that she will truly love. Love crawling beneath barbed wire? Maybe hopping over fire? What about mud? If you answered “yes” to all three then you are destined for a mud run. Unlike a traditional 5K or 10K, mud runs typically demand strength, coordination, and the ability to drop and do 20 burpees at any point in the race. Sounds fun, right? Hundreds of thousands of people participate in different versions of the classic mud run like the Warrior Dash, Tough Mudder, and Spartan Race. 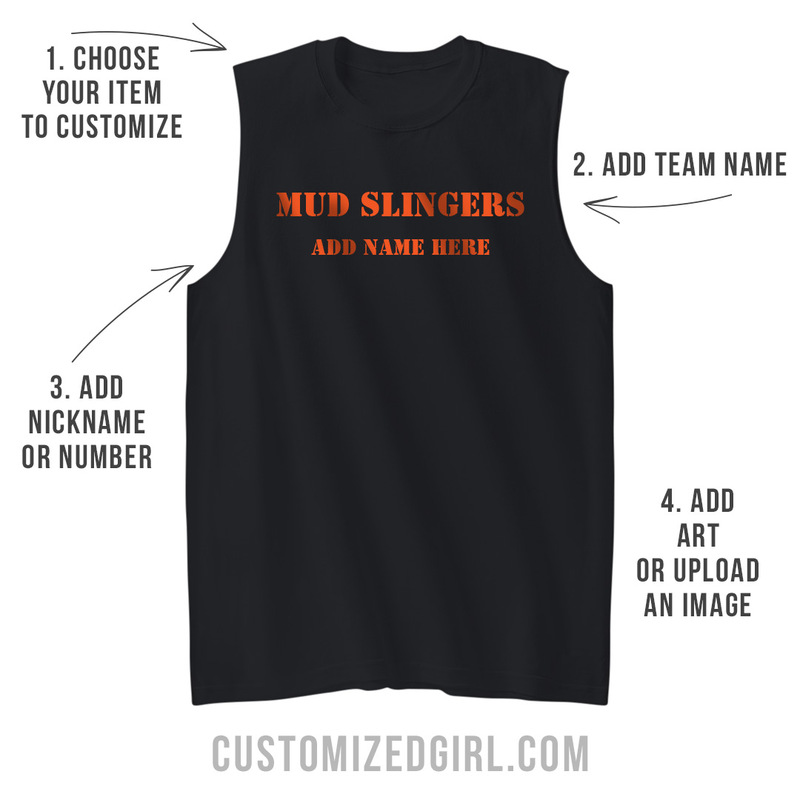 To make the event even more fun runners tend to team up with other runners and represent with custom mud run shirts! 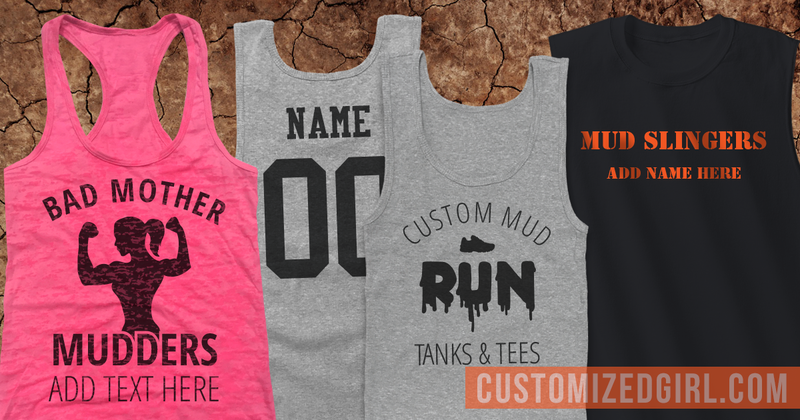 Mud run shirts consist of hilarious yet punny names like pretty lil’ mudders and bad brother muckers. Choose a design from our gallery or design something completely unique. Customized Girl offers a variety of apparel that is perfect for any runner’s style. Our performance wear enhances your ability to workout more effectively with breathable material and moisture wicking properties. It’s pretty much perfect for that thick mud and sweat combo you will be accumulating during the race. Go all out and customize socks and hats to show other runners your team doesn’t mess around. Do you need multiple item styles such as men and women’s shirts within the same order? 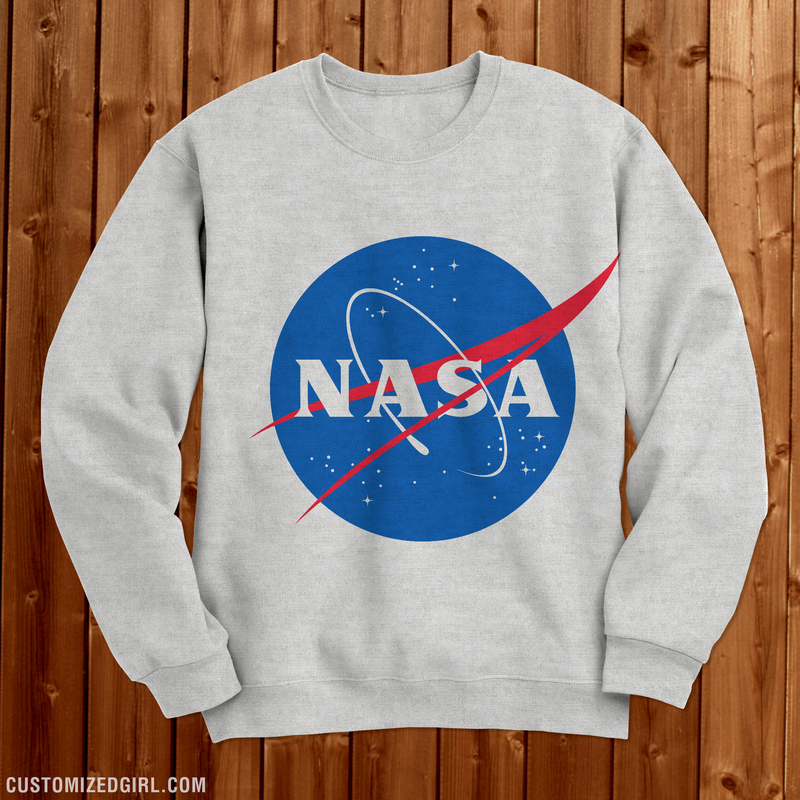 First, choose an item and add your design and names & numbers that will be printed on that specific item. Then add it to your cart. Once in your cart, click the “copy design” button. This will take you back to the Design Center. Click the Swap Out Item tab, and choose your next item style. Go back to the Name & Number tab and enter all the names and numbers you want printed on that style. Click Add to Cart again, and you’re finished! Sombreros, tacos, tequila – oh my! What happens when you mix those three marvelous things together? A fiesta like there’s no mañana. There are a lot of reasons why people love Cinco de Mayo but if you’re planning on celebrating this holiday to the fullest, you have come to the right place. 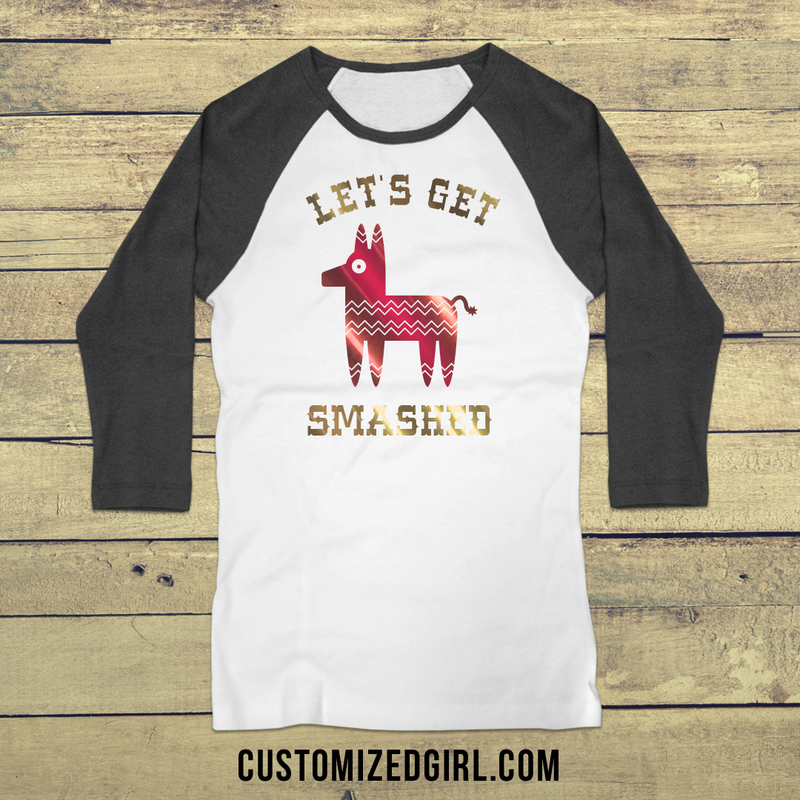 When you need to dress for the part, you want to look exactly how you envisioned yourself sipping on those margaritas and Customized Girl offers the best Cinco de Mayo shirts online. Customized Girl’s gallery is full of colorful Cinco de Mayo art and apparel that you will not find anywhere else. Our creative and talented design team has created unique art that will literally smash your pinata. Pair that together with hilarious and seriously clever phrases that will surely set the tone for any event you plan on attending. Choose your favorite design and swap it onto any item that we offer. Heading to a beachy destination? 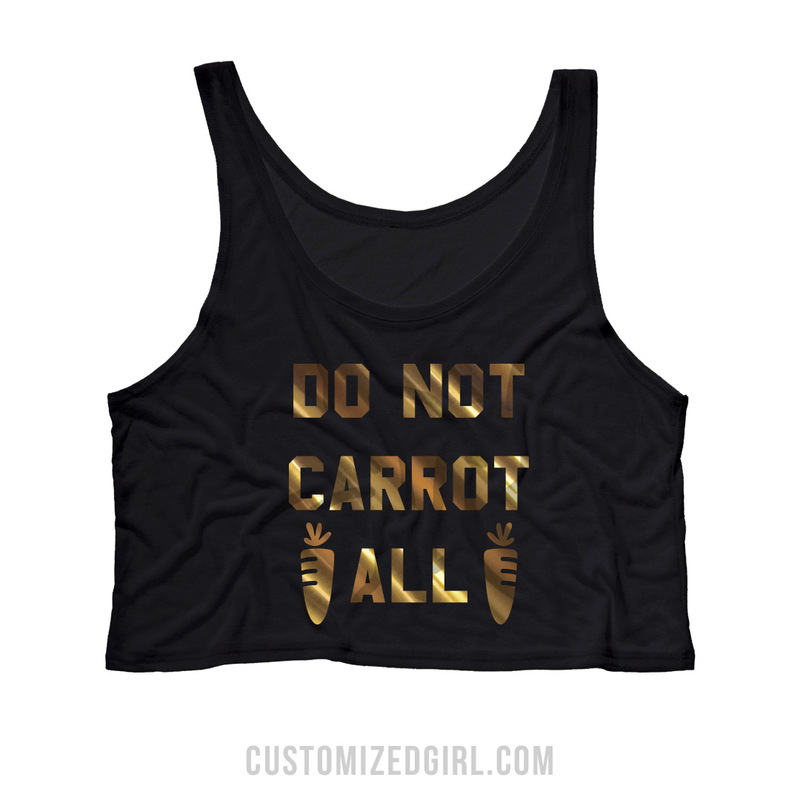 Put it on tank or trendy crop top. Better yet, put it on a neon crop top to really liven things up. With our hard to beat no minimums and generous group discounts, you can create matching designs for you and all our amigos or that one special design. 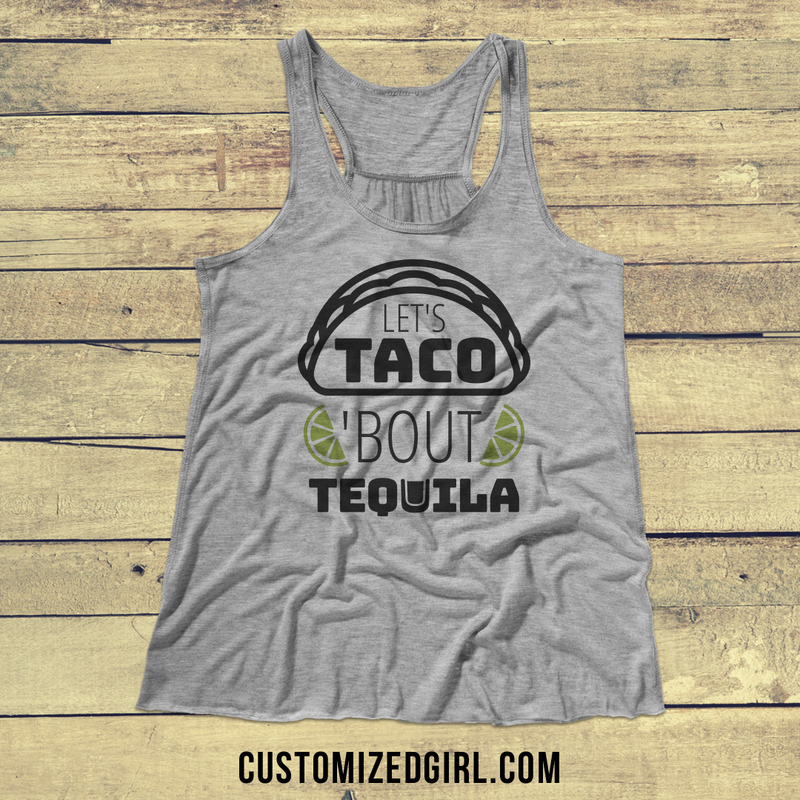 Now get that tequila flowing and dance the night away in your custom Cinco de Mayo shirt! March 2017 Instagram Selfie Winner! 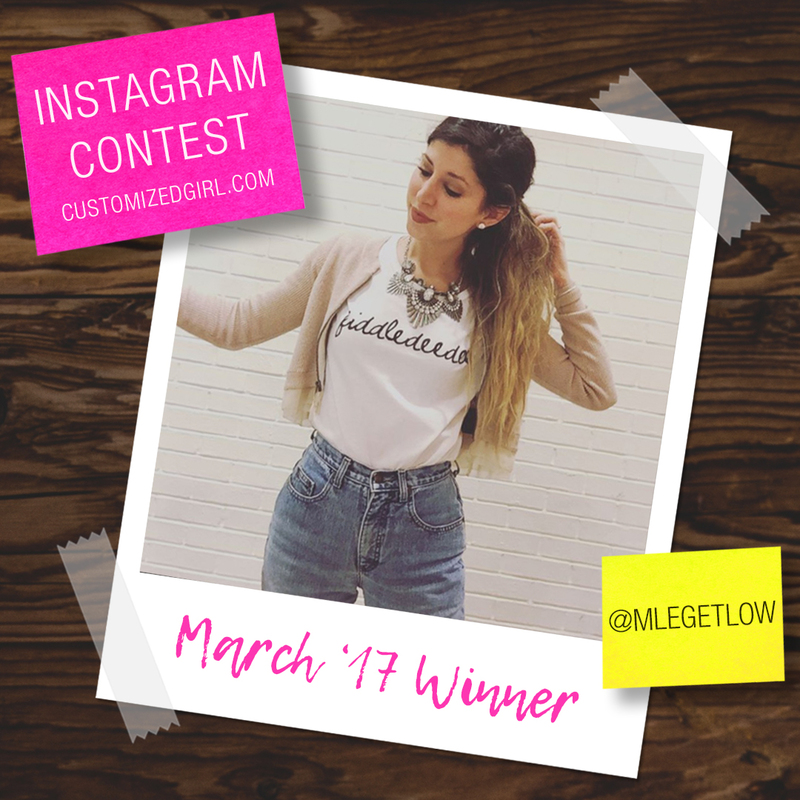 Give it up for our selfie winner for the month of March! We are honored to announce that our selfie winner this month has been a Customized Girl fan since 2012. Taking advantage of our one of a kind design center, she has been designing custom shirts not only herself but for family and friends. She is a great example of a label rebel and is truly our ideal customer. When you can’t find it anywhere then make it yourself. That’s a motto we could live by. Redecorating a bedroom? Or are you in need of the perfect gift for your friend who is getting married? Look no further because Custom pillow cases are an inexpensive and unique way to add that perfect touch to any home or living space. Select from two pillow cases when shopping at Customized Girl. Choose from our more traditional queen size pillow case that is preshrunk, percale 50/50 cotton/polyester blend and is an ideal option for his and hers matching designs or choose from our new 14″ by 14″ , poly duck throw pillow that has the ability for all over printing with amazing edge to edge designs. 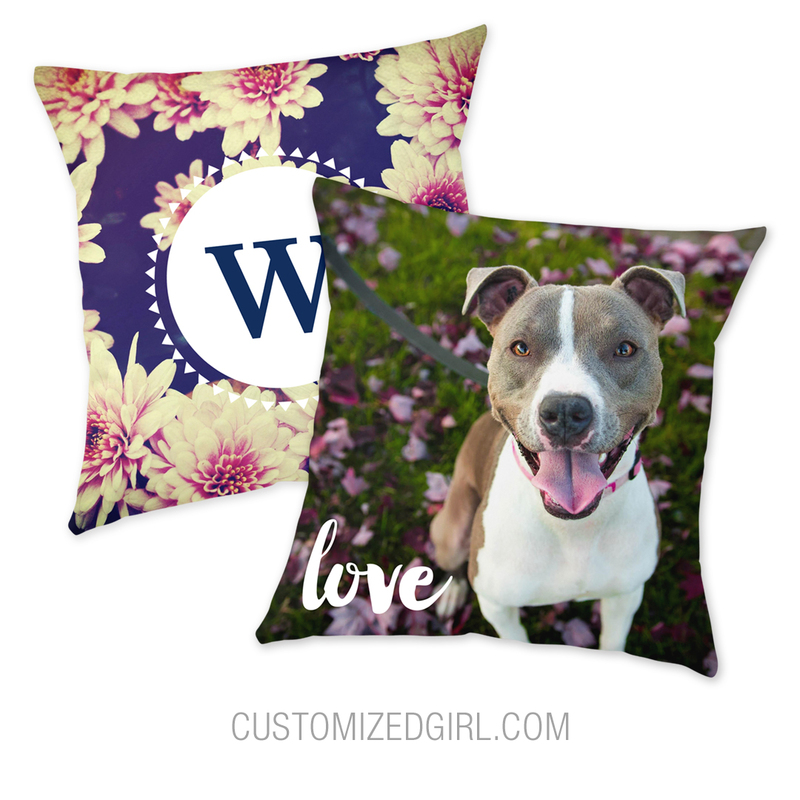 Easily create a custom pillow case from our huge gallery of designs by including your own photos, patterns, and monograms or choose to load your own custom design or photo. 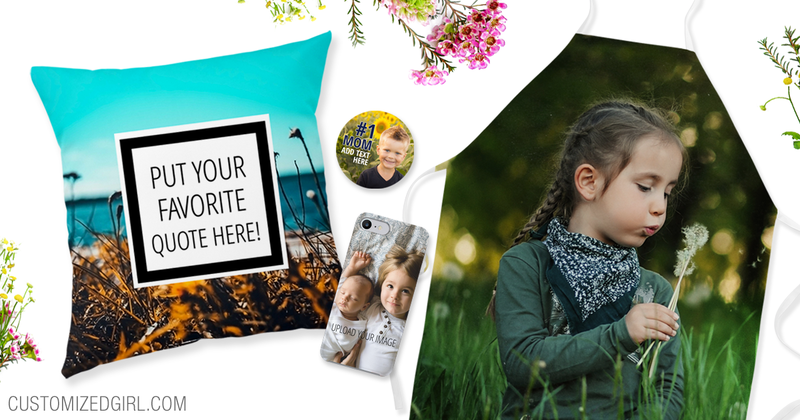 Design a personalized pillowcase you will want to share with family and friends! It’s really simple. All you have to do is follow these easy steps on creating your own custom pillow case from scratch! Step 3. Choose which pillow case design you would like to customize! Step 4. Now that you are in the design center you have an option to upload your own image. Simply click our “Upload Image” tab. From there, you are able to search your computer in order to find the photo you would like on your item. Once the photo has been uploaded, the placement and size can be adjusted. Step 5. Add your own text, switch the colors, font, and text to achieve your vision. Step 6. Once your design is complete, enter the quantity and add the items to your cart, and “Checkout”. Step 7. If you would like to add to your order by adding your design to a different item, select the “Copy Design” button. You will then be directed back to the design center where you can choose another item from the menu by selecting the “Swap Item” tab. Step 8. 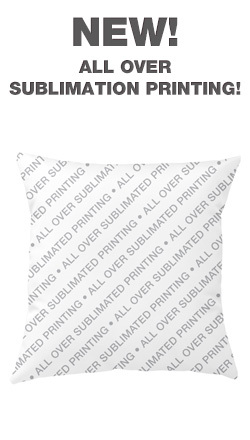 You’ve just created your own custom pillow case! We love when our customers can make their designs come to life and we it even more when they share them with us! Tag us @CustomizedGirl via Facebook, Twitter, or Instagram! 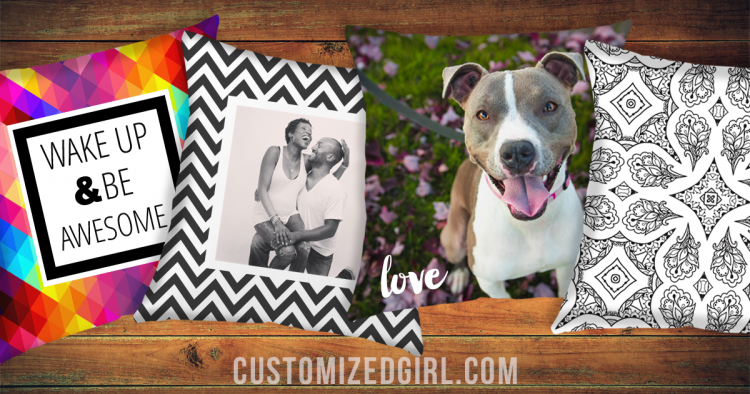 Customized Girl has added all over printing options to select shirts and accessories. Use coupon code below to save! Use coupon code CGAPRL at checkout and get $5.00 off orders of $40.00 or more! Offer expires 4/30/2017 at 11:59PM EST.